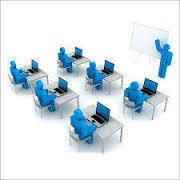 DST provides training for strategic products in the industry that we have in-depth product development experience with. This allows customers of our clients to receive the most relevant information. Our trainers have the hands-on experience with these products and deliver training sessions in various formats to suit the needs of our audience. Devine Software Technologies Pvt. Ltd.
By preserving our sync with the universally set guidelines of quality, we are keenly immersed in presenting IT Training Services to our patrons. In precision with the universally accepted ethics of quality and precision, these presented services are immensely commended. Not only this, our patrons can acquire these from us at inexpensive rates as per their requisites and necessities. 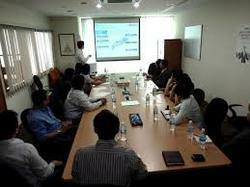 Offshore training is conducted by a team of trainers and technical resources at Skelta headquarters. Training offered in this option is further enriched by proximity to the Skelta development team and ready access to their collective knowledge. Offshore training also provides a forum to meet other Skelta users and exchange user experiences.